How did James Cameron tweet from the bottom of the ocean? 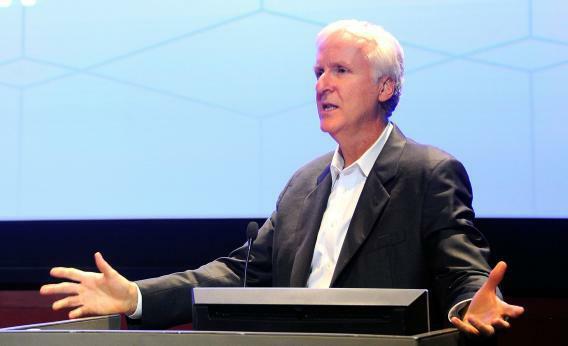 Director, inventor, and sea explorer James Cameron speaks at the 2011 Popular Mechanics Breakthrough Awards on October 10, 2011 in New York City. For those willing to count tweets by proxy, Cameron thus claimed the world’s deepest tweet. (Of course the usual claim is that Twitter is too shallow.) That said, Cameron’s feat may not be the most impressive and bewildering we’ve seen yet. As SlashGear pointed out, NASA astronaut and Expedition 25 commander Douglas H. Wheelock was able to check in to Foursquare upon docking at the International Space Station.